Once installed, solar panels require very little maintenance. They will continue to generate energy and save you money year after year. Although solar panels are low maintenance, they do require a minimal amount of maintenance in order to operate at peak efficiency. A dirty panel operates less efficiently than a clean panel. Over time, the glass on the solar panel will acquire a layer of grime that will reduce the panel’s ability to absorb sunlight. Between smog, dirt, and bird droppings, the surface of the solar panel will need to be cleaned periodically. The amount of time between cleanings will depend on your location and environment, but they should be rinsed off at least once every couple of months with a water hose. Additionally, the solar panels should be washed with a mild soap and a soft cloth at least twice a year. If the solar panels are in a location on the roof that makes them dangerous to clean, a pool skimmer with a soft sponge attached can be used from the ground level. The solar panel’s worst enemy is shade. Since the lifetime of solar panels can be 20 to 25 years or more, small saplings in a yard can grow into large trees. Consequently, a visual check should be conducted on a sunny day each season to insure the solar panels are not being obstructed by shade from nearby trees. The best time to conduct the survey is between 9:00 in the morning and 3:00 in the afternoon. Because these are the optimum hours for producing solar power during the day, any shade during those hours could significantly impact the ability of your solar panels to produce electricity. The angle of the sun changes as the seasons change. During the summer, the sun is higher on the horizon, and during the winter it is lower. As a result, the efficiency of your solar panels can vary during the year depending on the seasonal changes in the angle of the sun. If your solar panels are adjustable, you should make any appropriate adjustments during each of the 4 seasons. You should look at your control panel periodically to check for problems, and you should pay particular attention to the inverter display. If the green light starts blinking, it could indicate trouble. If the light goes out completely, you should immediately contact your dealer and report the problem. All control panels and inverter displays are different, so you should refer to your owner’s manual for specific maintenance criteria. 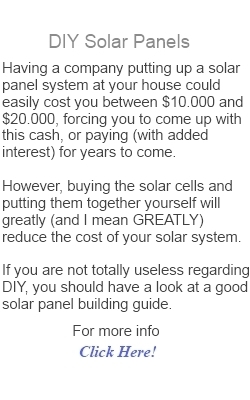 The initial investment for purchasing and installing solar panels can be expensive. 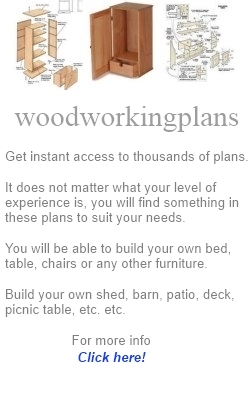 Consequently, you want to make sure they are operating as intended. When your solar panels are operating at peak efficiency, you can rest assured that you are getting the best return on your investment. By cleaning your solar panels, keeping them shade free, and making seasonal adjustments, you are maximizing your energy production. All it takes is a little bit of work to save money every day of the year. Sam Jones the author writes about a variety of environmental issues. 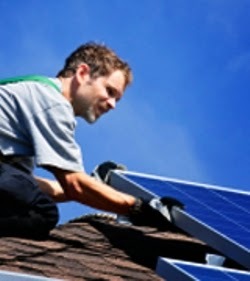 He has kept a close eye on the latest developments within the home solar panels industry and information related to home solar panels and how they can be maintained.